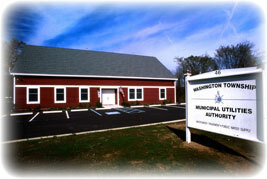 Welcome to the Washington Township Municipal Utilities Authority (WTMUA) web site. We have developed this site to provide information about the wastewater and water systems that serve portions of Washington and Tewksbury Townships. Under the About the WTMUA heading we provide information on the WTMUA, its formation, purpose and service area. Find out about the the current news in the What's New box. For easy access, we post the latest items about matters that affect your use of the wastewater and water utilities in this area. When important changes or events take place, we will update the web site by postings in the What's New box to bring such information to you. Up to date information about Contacts, Meetings, MUA Rules & Regulations, and Billing is provided in the selection bar in the left column. There is also information about Water Conservation & Quality, the Wastewater System and some useful Links. 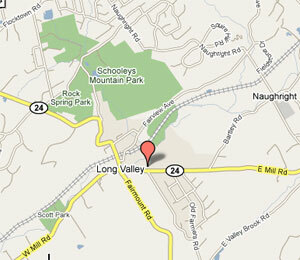 If you have any questions, comments or suggestions, please feel free to contact us by phone or e-mail.